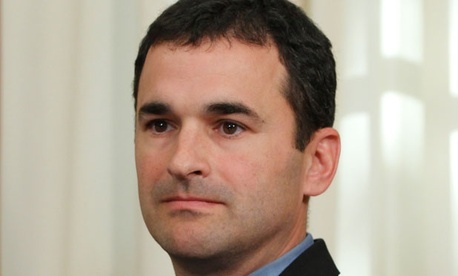 President Obama has named top financial management official Danny Werfel acting commissioner of the Internal Revenue Service, the White House announced Thursday. Steven Miller stepped down as acting commissioner Wednesday amidst a scandal involving the targeting of conservative political groups that had applied for tax-exempt status. Werfel, currently the controller of the Office of Management and Budget, joins the IRS after spending much of the last year preparing for and implementing sequestration. Werfel was appointed to his post at OMB by President George W. Bush and was confirmed by the Senate in October 2009. Obama highlighted Werfel’s accomplishments in financial management, financial reporting, accounting standards, improper payments and financial systems. Werfel has worked for 15 years in various positions at OMB. He has also served as a trial attorney in the Justice Department’s Civil Rights Division. Werfel helped to oversee and implement the Recovery Act in 2009 and 2010 and has helped lead an effort to crack down on improper payments to program beneficiaries. He has also served as a champion for consolidating federal real estate and using data and analytics to make smarter decisions across government.